All our products are safe and do not harm household pets. All of our products are safe and harmless to children. We offer the best and safest techniques to eradicate your home of rat, cockroaches, spiders, fleas, ants, silverfish & termites. These insects spread diseases and can even decay the structure of your whole house. If termites are discovered on the property it is advised that treatment is undertaken quickly as the colony can then move on to other areas if disturbance has occurred. Pure Pest Control are very experienced in the treating methods of termites and can perform a treatment immediately once the termites have been found. 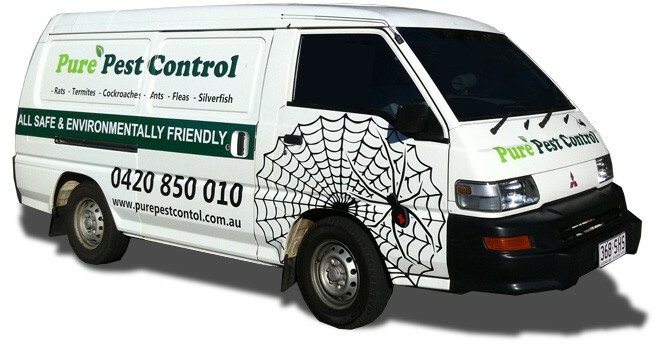 If you are a looking for pest control on the Sunshine Coast and after a reliable, prompt and affordable service- give us a call. We will assist you with any pest control or termite questions you may have, quotes are also issued over the phone with no hidden costs so when we turn up for the job no nasty add- ons will be added to the bill.